My husband is a fabulous cook. We love to entertain, and when we do, my husband usually grills. I enjoy making appetizers, and have a few dishes I make well, but my husband is better than I am at creating recipes. 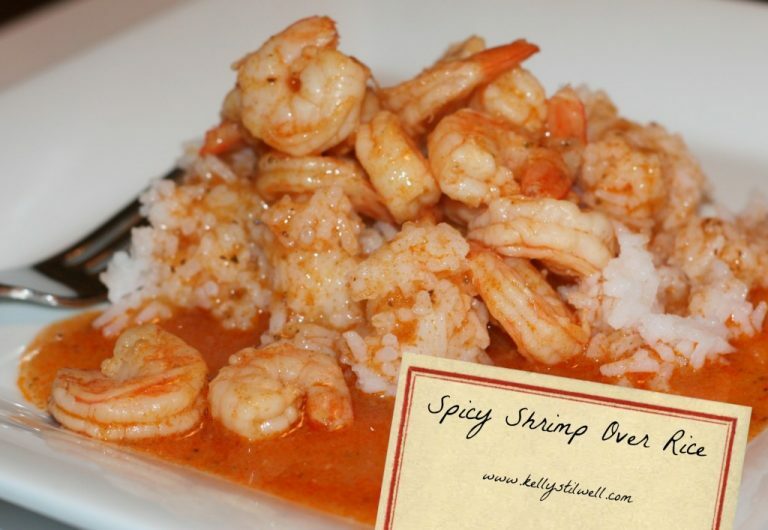 One of my favorite dishes he makes is Spicy Shrimp over Rice. We used to go to a restaurant in Maryland that served a similar dish, so my husband decided to recreate it. We’ve been enjoying it ever since! The recipe is pretty simple, and using Success Boil-in-Bag Rice makes it even easier! Success® Rice is the ORIGINAL no mess, no measure, Boil-in-Bag rice. It cooks perfectly every time, and is ready in less than 10 minutes. I also love that the rice can sit for up to 30 minutes before being served. You really can’t mess it up! You can use any variety of Success® Rice. We used Jasmine this time, and it was delicious!